We are thrilled to release WellDatabase for Android. To celebrate, we are giving away a 2nd generation 32GB Nexus 7 and one year of WellDatabase premium access. The Nexus 7 is the highest rated Android tablet by Engadget.com. If you want to check out the full review on Engadget, go to http://www.engadget.com/products/asus/nexus/7/2nd-gen/. 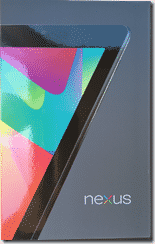 The prize is one 2nd generation Nexus 7. 1. 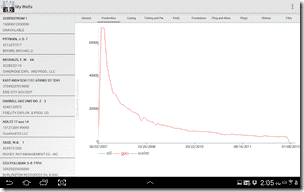 Tweet the following message “Check out the great #oil and #gas Android app from @WellDatabase. https://play.google.com/store/apps/details?id=com.welldatabase.mobile #WellDatabase” OR tweet your favorite feature of WellDatabase with the #WellDatabase tag. Obviously you can only signup for WellDatabase and follow us on Twitter once, but you can tweet about WellDatabase as much as you’d like (although only 1 per day will count as an entry). The contest will last for a week and a half. We will announce the winner on Friday, June 20th. First and foremost, you can download WellDatabase for Android by clicking below. We have been toiling away on the Android app for some time and we are very pleased with our product. We have aimed to keep a consistent interface with all our mobile apps and the Android app is right on track. While it is not identical to the iOS app, users can easily jump between them without issue. Below are a few screenshots to show how great the Android app looks. 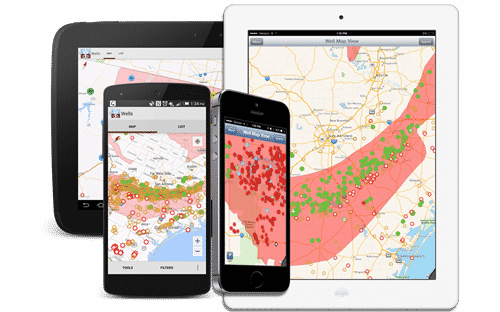 The mapping interface gives users instant and unlimited access to our database of over 4 million wells. Due to the Google integration, the map is nearly identical to what you see on our web app. You can also touch the location icon in the top right to jump right to your location and view nearby wells. No other app can do that. Production charting on the Android app is great. The phone interface is very usable, but it’s the tablet interface that is pretty amazing. A real must have for anyone who needs to see data wherever they may be. 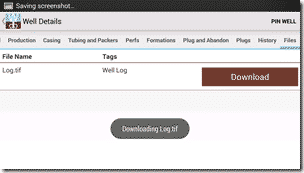 We have worked very hard here at WellDatabase to make the best oil & gas applications possible. While we feel like our applications are second to none, we will continuously strive to improve everything we have to offer. We appreciate the thousands of users who have already downloaded WellDatabase for iOS. We look forward to opening up the world of WellDatabase to a whole new audience with our Android application.